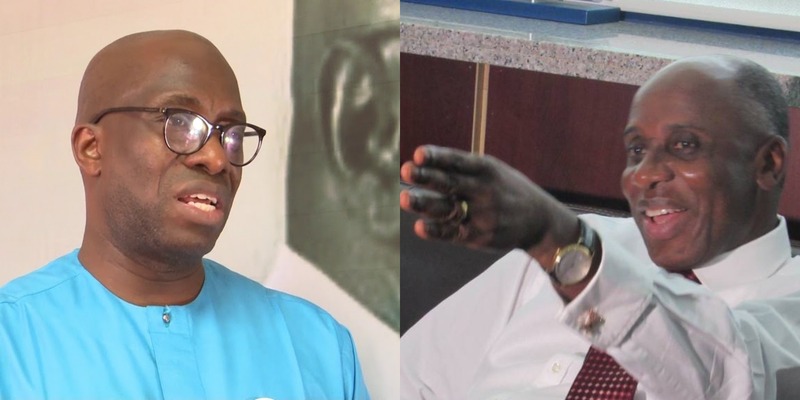 Spokesperson of the Atiku Campaign Organisation, Segun Sowunmi, and Minister of Transportation, Rotimi Amaechi, clashed over the privatisation programme of the People’s Democratic Party (PDP) when Chief Olusegun Obasanjo was president. The war of words occurred at the first 2019 presidential debate hosted by The Osasu Show and held at NAF Conference Centre and Suites, in Abuja, where Sowunmi represented the 2019 PDP presidential candidate, Atiku Abubakar. President Muhammadu Buhari was not represented at the debate, which had other presidential candidates in attendance. The theme of the symposium was Nigeria Rising! It’s Time: Establishing Social Accountability between the Electorate and Leaders. He said during the Obasanjo presidency, of which Atiku was a principal actor, privatisation was embraced. Sowunmi also said the action, which was the liberalisation and privatisation of key sectors, was taken in order to move the country in a direction of sustainable growth. Sowunmi further said the totality of the past antecedents of Abubakar, together with the fact that he was in the civil service, being a former vice president, a consummate author and is interested in restructuring, there is no better candidate to govern the country now than Abubakar. But Amaechi said the privatisation carried out by the PDP was not for the benefit of the public. Amaechi, who was not on the debate panel, raised up his hands to ask questions from Sowunmi. He alleged the Atiku-Obasanjo presidency led a privatisation of Nigeria’s assets to their cronies. Sowunmi shot back at Amaechi. “An eight-year governor of a state in PDP comes to public space, riding on the alleged integrity of just president Muhammadu Buhari, and speaking trash to the people, what exactly is this? Regardless, Presidential candidate of the Allied Congress Party of Nigeria (ACPN), Dr. Oby Ezekwesili, gave a damning verdict on the nation, when she said the country is on the precipice. Others at the event included former minister of Sports, Bolaji Abdullahi; President of the Market Women Association of Nigeria, Mrs Felicia Sani; Chairman, DAAR Communications PLC, Raymond Dokpesi (jnr), the convener’s mother, who is also former First Lady of Edo State, Mrs Eki Igbinedion; among others. Meanwhile, the Nigerian Election Debate Group (NEDG) and Broadcasting Organisations of Nigeria (BON) have fixed January 19, 2019, for the presidential election debate. The vice-presidential debate will hold on December 14, 2018. Buhari, former vice-president Atiku Abubakar, Mrs. Oby Ezekwesili, Donald Fuke, Gbenga Olawepo-Hashim, among others, are expected to participate at the presidential debate. BON Chairman, Mr. John Momoh, announced the debates at a press conference in Abuja, yesterday. He said the debates will be aired on all BON member radio and television stations across the country and also streamed live on social media platforms. “The debates would hold at the Transcorp Hilton Hotel, Abuja, and will be broadcast live on all BON member radio and television stations across the country. Momoh, who is also the Chairman/CEO of Channels Media Group, added that the debates will focus on the issues that matter most to working families; restoring our economy, providing electricity, creating jobs, securing health care for every Nigerian, making and achieving excellence in every Nigerian school and ensuring safety and security for Nigerians.